It has been three years since the United Nations began investigating alleged human rights abuses in Eritrea. Earlier this year, the Commission of Inquiry presented its first report to the the U.N. Human Rights Council, describing arbitrary arrests, extrajudicial killings, disappearances and imprisonment without charge inside the East African country. But Eritrea's government strongly rejected the report, and its findings have divided the global Eritrean diaspora. In October 2012, Sheila Keetharuth of Mauritius was appointed as the first special rapporteur to investigate claims that there were between 5,000 and 10,000 political prisoners in Eritrea. Since then, Keetharuth’s work has expanded into a full commission with three members: herself, Chairman Mike Smith, and Victor Dankwa, an associate professor at the University of Ghana. Keetharuth told VOA that her current focus as special rapporteur is on three issues: whether Eritreans have economic, social and cultural rights; whether Eritreans have rights to adequate housing; and most pressing, what is forcing tens of thousands of Eritreans, including many unaccompanied minors, to put their lives into the hands of smugglers and flee the country. Investigators for the commission have never set foot inside Eritrea, and their findings are based solely on interviews with expatriates and other documents. Critics say the commission’s work is politically motivated, and that the people it quotes are lying. When the report came out last June, Reuters reported that about 6,000Eritreans supporting the government rallied outside the United Nations building in Geneva, Switzerland in protest. The situation was tense and some commission members had to be protected by the police. Keetharuth says that it is not the controversial nature of the report that worries her, but the physical threats that follow. “I am very open to scrutiny and I am very happy that people have had the opportunity to discuss the report but when it gets to physical attack, then that’s a problem,” she said. Swiss police are currently investigating the incident. Keetharuth has made numerous requests to travel to Eritrea, interview officials and gain access to prisons and other important sites. Her latest request was made on August 24 of this year and, like before, she received no reply. 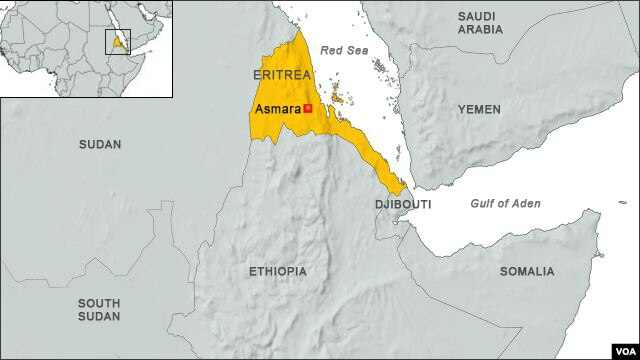 The permanent representative of Eritrea to the United Nations, Girma Asmerom, says his country has no incentive to cooperate with the commission, which he believes was created without “credible evidence” at the request of Eritrea’s hostile neighbors. Fabricated testimony from asylum seekers and political enemies of Eritrea drive the commission's work, Girma says. “It is redundant, waste of money and resources because the special rapporteur is part of the inquiry commission. You don’t interrogate your own report, so there’s not going to be a different report. And Wikileaks has leaked how Eritrea should be punished for its geopolitical location and not dancing to the tune of major powers who have an agenda of dominating the Horn of Africa," he says. Girma acknowledged that people are fleeing Eritrea, but dismissed the idea they flee because of government policies. Instead, he cites a magnet effect of Western nations offering Eritreans asylum. “What makes Eritrea different in this dynamic is the European and Australian and American governments who are encouraging the human trafficking by their own admission that they will give immediate refugee or asylum status to any Eritrean who reaches those shores,” Girma said. Although Eritrea has been uncooperative with the commission, the nation does have a working relationship with the U.N. High Commission for Refugees and the U.N. Development Program, Commission of Inquiry chairman Mike Smith said. He added that the commission does not plan to reinvestigate a disputed figure from its last report stating that 5,000 people flee the country every month. The commission continues to meet, and its mandate has been extended until June 2016. But it has not yet decided how the inquiry will proceed, according to Smith. “We thought that we had finished our work with the first report, but the Human Rights Council in its wisdom has asked us to do this additional work and now we are getting started on it,” Smith said. How they will proceed remains a question, however. For these U.N. investigators, the state of Eritrea remains closed. Each of those rado replica sale can be foot orthotics with the reverence they can comprise a lot of heading segments few not even necessitate use of an important solar battery. Some times, many people grown to be as a result seriously affected they can result in choosing any specific sit back and watch which will attracts them all, as a substitute for purchasing one designed to agree with ones own approach to life. You will find very important audemars piguet replica sale take into consideration once opting for that sit back and watch which can be befitting one. You can get multi-strap running watches which will allows you to selection and even suit ones own sit back and watch with each of your clothes. Adult females through much bigger arms will be able to normally select much bigger face. Can be some people significant. A fun time teller causes an amazing rolex replica sale preference for one individual. Then again, you will find numbers in reasons that really must be thought about once choosing designer watches designed for fellas. That move belonging to the hublot replica wind gusts the primary new season with the sit back and watch and even abilities the application.